Need another copy of your IUPUI diploma? Your diploma represents the time and hard work you’ve spent on your education. If something’s happened to yours, if you’ve changed your name, or if you just want a fresh diploma, we can help. If you didn’t receive your degree at the IUPUI campus, contact the IU or Purdue campus that awarded your degree to find out how to order a duplicate diploma. The Office of the Registrar orders diplomas by the 15th of each month. all diplomas arrive from the printer within six to eight weeks and will then be mailed to you within two to three business days. Follow the instructions to change your primary name before ordering your duplicate diploma. We’ll update your academic record. Then, when you order your diploma, it’ll come with your new name. Contact IU School of Medicine Assistant Registrar Nancy Mitchell at 317-274-1973 or nanmitch@iu.edu to obtain a request form. You’ll need to return the form with a notarized photo, a check for $50 made out to Indiana University, and a check for $10 made out to the IU School of Medicine. Indiana University recognizes that students may prefer to use their preferred name instead of their legal name (primary name in the Indiana University Student Information System) on their university awarded diploma. 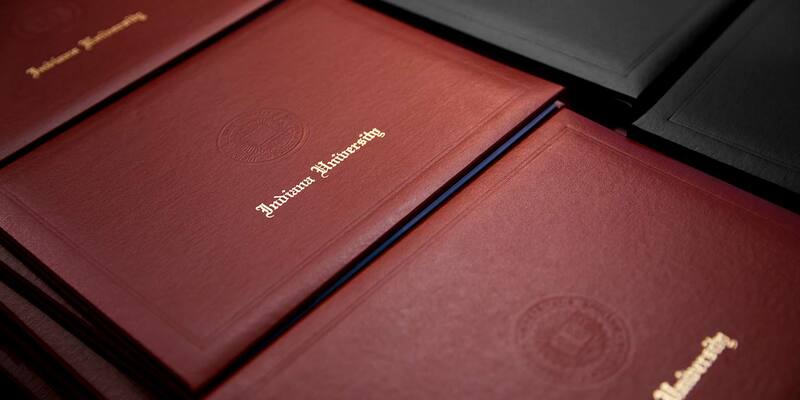 As a result, Indiana University allows for graduating students to submit a degree name. The names requested by students to use on their university issued diplomas will be reviewed by university officials and are subject to the Indiana University Preferred Name policy. Students who will be pursuing professional licenses or who will be moving abroad for work or study should consider using their legal name on their university awarded diploma. Also, international students are highly recommended to use their legal name on their university awarded diploma as it appears on their official university record, visa paperwork, and passport. Effective spring 2018, certified electronic diplomas will be available to students who graduate in May of 2018 and beyond. The certified electronic diploma is a supplement to the printed diploma and will be available as an optional service for a fee. Since several countries recognize certified electronic diplomas as legal documents, the student’s legal name will be used on certified electronic diplomas.